Sent in by an anonymous author. Living in a democracy is very important, it is a basic human right, maybe one we often take for granted. Our country is meant to be a democracy too, but is it? To someone who understands what a democracy truly is, the mere notion of assassinating a journalist is horrific and revolting, let alone condoning it. * Journalists are those who should ensure that our system is in place. Therefore, the assassination of Malta’s most outspoken journalist is effectively the murder of our democracy, irrelevant of what you thought of Daphne. When she was killed, a part of us was killed too. The Prime Minister, who should have resigned years ago were our country truly a democracy, promised to leave “no stone unturned”, but in reality, does the exact opposite. 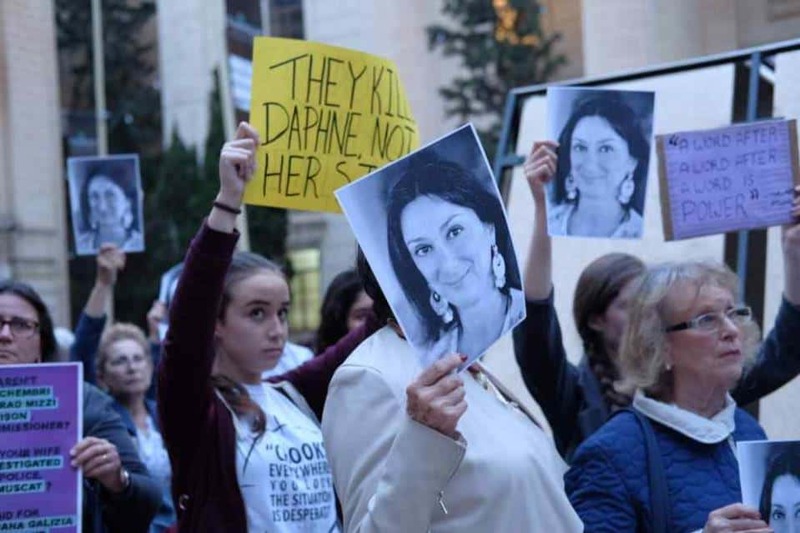 The dedication with which Daphne Caruana Galizia has been vilified [she still is, even after her murder], has now been put to doing the same to those who defend her memory, who fight for what she stood for – the values she believed strongly in. The memorial dedicated to her has been cleared ten times, but the government has not even condemned this act once. So much for democracy. Because they did not manage to clear her memorial, all sorts of things are placed in front of it. * Having said this, it is important to mention that not everyone has condoned the assassination – Thank you David Casa, Simon Busuttil, TheShiftNews, Occupy Justice, Il-Kenniesa, Daphne Caruana Galizia’s family, everyone who attends vigils, who puts up posters demanding justice, and everyone else who hasn’t accepted this. I really hope I’m not forgetting anyone. You will never be forgotten, Daphne. Thank you for making us stronger and giving us the courage to speak out.